Little Monkey is being naughty and sometimes misbehaves. "Will you play with me?" asks Little Monkey. "Not yet," says Big Monkey. "First, I've got to make the beds." Little Monkey is very bored and ends up creating mischief. 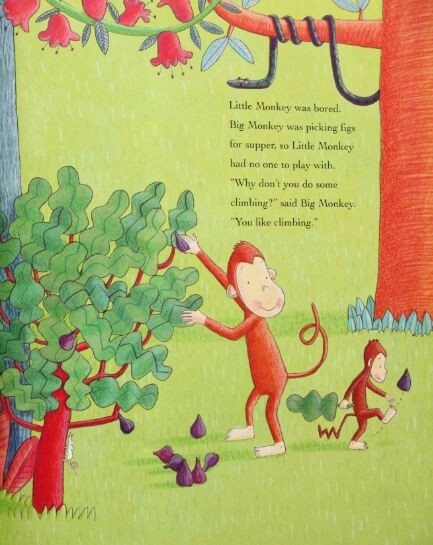 Big Monkey is very cross and Little Monkey ends up very sad. But in a matter of time, they both realize that they should be getting upset with each other. Big Monkey reassures Little Monkey with a hug..."I love you, little monkey." 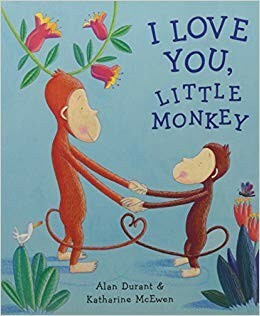 This charming and reassuring story is one that you should read with your little one...The story is a perfect bedtime read!